I went into this film having only seen one trailer previously and no reviews. But sometimes it’s nice to watch something which you have little preconceptions of before hand. 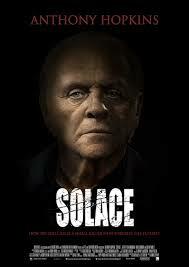 But should I have learnt more about Solace before seeing it? In the search for a serial killer FBI agent Joe Merriweather (Jeffrey Dean Morgan) brings in Doctor John Clancy (Anthony Hopkins) a psychic, much to the dismay of his partner Agent Katherine Cowles (Abbie Cornish). However as John tries to find the killer (Colin Farrell), he finds that he and the FBI are always one step behind. The movie attempts to rise above the average serial killer thriller, refreshingly John views on his psychic ability is based on science rather than faith, and Agent Merriweather manages not to be either an alcoholic or a crappy husband/father cliché. Colin Farrell is good as the killer, although for any fans seeing it purely for Farrell be warned as he’s barely in it. Which is a shame as the film could have used more of him. The problem with the film is that it isn’t original enough to make it stand out from any number of supernatural thrillers around.There also isn’t any memorable dialogue or scenes for the audience to remember. While the film looks stylish enough there’s no real flare to John’s visions to make them compelling or to leave you feeling scared. John’s psychic abilities are also frustrating portrayed. It seems John can see the past and the future, and know enough to recount one character’s entire life yet when the script requires it his visions are vague. Sometimes it seems his visions are bound to happen while other times it seems like they can be changed depending on the plot and how passive John is being. The film is not awful but it’s flaws seemed exposed on the big screen. Watched on the small screen and the audience may be more forgiving of the predictable elements. Who Will Replace Jenna Coleman in Doctor Who? This week current Doctor Who star Jenna Coleman announced that she has quit her role as the doctor’s companion Clara Oswald. Now speculation has been running rife as to who will be taking her spot in the Tardis. Here’s a look at some of the favourites for the job. Ex Corrie star Michelle Keegan is currently the bookies favourite for the role. It’s easy to see why, like Coleman she’s just come off a big soap, she’s young, good-looking and is popular with guys and girls. My only reserve is that she may be too similar to Coleman. Should the bosses at the BBC be on the lookout for someone different? Masie Williams is already going to appear on Doctor Who this year, maybe she will end up being a permanent addition? 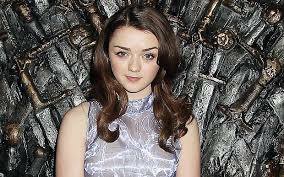 It would be a huge deal if Doctor Who was able to snag Arya Stark. But considering she’s still a regular in Game of Thrones (for now anyway) it seems unlikely she’ll have time to fit in another tv series, and if she did have the time she’d probably be doing movies instead. Also it may come across unintentionally creepy having such a young girl hanging around with Peter Capaldi. She was only in two episodes of Doctor Who last year but Oliver’s UNIT scientist Osgood made a big impression and was very popular with fans. Considering she died in the last season it was a surprise to hear she was coming back for a two parter in season 9 of Doctor Who. Is the plan to have her become the Doctor’s new companion? I think she would be great, my only concern is that maybe turning her into a regular character will make her Osgood less endearing. Hopefully this wouldn’t be the case. Gemma Chan has recently found success in Sci-fi drama Humans. Maybe the BBC will take notice of her stunning performance and snap her up. She’s already appeared in the Doctor Who episode The Waters of Mars, and her character Mia made it out alive so she could come back. 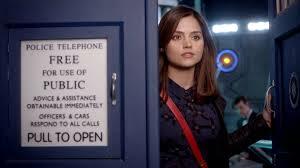 Having a companion from the future would also make her different to the previous companions. Or she could do like former assistants and one episode wonders Karen Gillan and Freema Agyeman and become a completely new character as a regular companion. Whether Chan will want to another tv series alongside Humans second season may be an issue. But she would be my favourite with Oliver in close second. At first this seems like an out-there choice. After all the New Doctor Who has had female companions since it returned in 2005 (although Amy Pond’s husband Rory was also on board during her time on the Tardis, and Jack Harkness was there with Rose Tyler), but if they are looking to go in a completely different direction then Skinner could be the wild card they need. 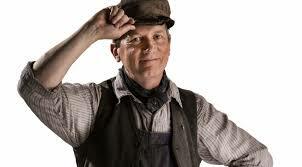 He did made a popular appearance as train driver Perkins in last years Mummy on the Orient Express. It would also bring some more comedy to the series which seemed a bit too serious at times last year. However while I could see Skinner possibly becoming a recurring character I don’t think he’ll be joining the Tardis yet. Despite the wild speculation, Steven Moffat may go in a completely different direction with someone no one was expecting. Whoever they go for I think they should try to shake up the role of the next companion, maybe have someone from the past/future or even an alien. We’ll soon find out! London gangsters The Krays seems to have held a fascination by the British public for a while. Having already been the subject of the 1990 film The Krays, Tom Hardy is now taken on the challenge by playing both of the criminal brothers. But was the movie worth his effort? During the 1950s and 1960 twin brothers Reggie and Ronnie Kray (both played by Tom Hardy) terrorized London. But mixing with politicians and actors gained them notoriety and made them seemingly untouchable. However their reign can’t last forever and the story shows their rise and fall. The film is told through Reggie’s wife Frances (Emily Browning), a fragile, young girl who is at first amazed by Reggie and his world then learns the hard way how it can all go wrong. Browning is great as the sole sympathetic character in the movie. The film has a lot of great supporting actors too from the likes of Paul Bettany as a rival gang member and Taron Egerton as Teddy, one of Ronnie’s lovers. Legend is stylishly shot and has a tense, sometimes hilarious script. But what everyone will be talking about after they’ve seen this movie is Tom Hardy’s incredible performance. He fully convinces as the Kray twins, openly gay, certifiable insane and violent Ronnie and the suave and less psychotic but just as dangerous Reggie. It could easily have been a vanity casting, but Hardy is brilliant in both roles that you forget he is playing opposite himself as he loses himself completely in these characters. Some people may find the film glamorize and humanizes the Krays too much. 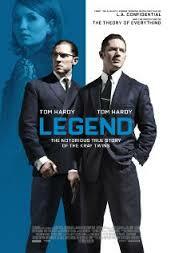 Personally I think the film manages to find the right balance between the “legend” and the violent truth of the Krays. Sometimes you hear a film is so bad that you just have to watch it. Or I do anyway. 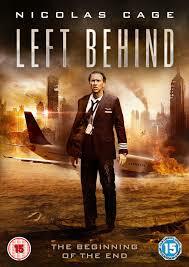 This is why I ended up watching Nicholas Cage’s 2014 movie Left Behind. Based on the novel by Tim LaHate and Jerry B. Jenkins, can this movie be as bad as they say? Flying from New York to London, pilot Rayford Steele (Nicholas Cage) is thrown into turmoil when several people from his flight disappear leaving only their clothes behind. Meanwhile on the ground Steele’s daughter Chloe (Cassi Thomson) tries to find out why her brother and mother have vanished. Could the answer be that the rapture is finally here? In a season 5 episode of Community a sub plot focuses on a course called Nicholas Cage Good or Bad? Well those who say bad have strong evidence in with this movie. I was hoping Left Behind may fall into the so bad it’s good category. But it turns out the end of the world is really boring. It’s a good half an hour before the rapture actually starts, so we have to sit through 30 minutes of back story for the main characters. Nicholas Cage is a husband on the verge of an affair, his daughter is in conflict with her mother’s new beliefs in Christianity and …blah, blah, blah. No one cares. The characters are so boring and there’s no tension built up at all. Basically the rapture couldn’t come soon enough. Not that it gets any better when the rapture does happen. Rather than being a shocking, emotional event it ended up being unintentionally hilarious. The movie tries to say something about belief and Christianity, but it’s so clumsy that it would probably offend most Christians. I’m not sure what encouraged Nicholas Cage to sign on to this movie. Was he intentionally trying to make a movie worse than the 2006 remake of The Wicker Man? It’s not just him though, the whole cast seems to be on auto pilot, maybe hoping for a real life rapture to take them away. Whether you’re Christian, atheist, Jewish or follow any religion just avoid this like the plague. The Maze was just the beginning…obviously otherwise there would be no point in having a trilogy. 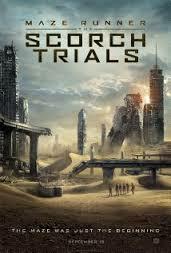 Based on the popular YA novels, The Scorch Trials is the second in the Maze Runner series. I really enjoyed the first one, but will this sequel run out of steam? Picking up where the last film left off, Thomas and co have escaped the Maze and believe their troubles are behind them. However they realise that their enemy W.C.K.D are still active, leaving the group to make an escape to the deserted lands outside. One of The Scorch Trials best attributes is its high octaine action sequences, and like the first film there are some very tense moments. While the first film was being compared a lot to movies like The Hunger Games, The Scorch Trials seems inspired by The Walking Dead and 28 Days Later when our protagonists come across some unwelcoming sights in the desert. There are moment when the pace dips a bit but then another action set piece comes along to keep things moving. Once again Dylan O’Brien shines as Thomas, and he’s aptly supported by Ki Hong Lee (Minho) and Thomas Brodie-Sangster (Newt) as Thomas’ loyal friends. However Theresa (Kaya Scodelario) still feels underdeveloped and gets more annoying in this film. New girl Brenda (Rosa Salazar) comes across as more interesting and gets involved in more of the action than Theresa does. What I also like about the actors is that they really look like they’re running for their lives when they’re sprinting from danger, unlike most actors in these kinds of movies. The main big bad W.C.K.D are a bit underwhelming as this all-powerful organisation cliché. The film tries to give them a it’s-for-the-greater-good motive to make them seem a bit more three-dimensional but I really didn’t care. The Scorch Trials is also not quite as good as it’s predecessor but sets up well for it’s final movie (another point in this series favour is that it’s not trying to split the last book into two movies-thank god!). The Hunger Games won’t be losing it’s crown as the best of YA film adaptations but the Maze Runner series still hold some great action and adventure as well as protagonists to root for. Plus any film that uses Patsy Cline’s Walking After Midnight as an important plot device gets my vote. A lot of dark secrets can be revealed during confession. But what if you’re a priest and someone confesses they are about to commit a murder – yours! During a confession an unknown parishioner confides to Father James (Brendan Gleeson) that he was abused as a kid by a priest who has since died. He then tells Father James he will kill him in a week’s time as he is a good man and that will upset the church more than killing a bad priest. Over the following week we see Father James deal with his parishioners, have a visit from his estranged daughter and contemplate his place in the village. 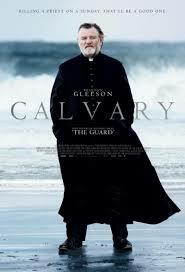 Written and directed by John Michael McDonaugh whose previous film The Guard also starred Gleeson, Calvary is a dark drama with a very black sense of humour. The subject matters that the film deal with-child abuse by the church and suicide among others is well explored but doesn’t go into melodrama or offer quaint sentiments. Instead it’s a character-lead drama about a village with dark hearts in most of its parishioners. I’m mostly familiar with Gleeson for his Golden Globe nominated role as a hitman in In Bruges, and again Gleeson is excellent in the lead role. His Father James is a good man, but he is also flawed. A former alcoholic, neglectful father, these characteristics makes him more interesting than an all round nice guy and makes his character more believable too. You really feel for him as he wrestles with his conscience, does he tell the police who he suspects is the would-be-murderer, or should he face the man to try to talk him round. While it seems obvious that he should head straight to the police, you understand why Father James is reluctant to do so (and besides the police seem involved in illegal activities themselves). While it’s Gleeson’s film he has good support from his fellow actors including Dylan Moran, Aidan Gillen, Chris O’Dowd and in particular Kelly Reilly is brilliant as Father’s James daughter Fiona. Watching Father James and Fiona try to reconnect after years of hurt is one of the few positive interactions in the film, and knowing Father James could be dead soon makes their conversations more poignant. It may be a bit too dark and depressing for some, however for me this is a smart movie that can be bleak at times but also offers small glimpses of hope in between. Another week and another tv series adapted for the big screen. This time it’s 60’s American show The Man From U.N.C.L.E. But should some things be left in the past? In 1963, CIA agent Napoleon Solo (Henry Cavill) and KGB operative IllyaKuryakin (Armie Hamer) are forced to work with each other on a mission that takes them to Rome. With mysterious asset Gaby Teller (Alicia Vikander) the pair try to trap a pair of Nazi sympathises, find Gaby’s scientist father and save the world. But that’s easier said than done. I can’t say I was particularly excited when I first heard about this reboot. Or by the trailers that proceeded it. However when I did get round to seeing the film I was pleasantly surprised that it wasn’t a complete dud. Ok there’s nothing overly original about it but it also has its own easygoing charm about it and director Guy Ritchie injects the film with fun and style. The leads Cavill and Hamer are good as the adversaries turned reluctant partners. Cavill has fun as CIA agent Solo, perhaps an insight into how his Bond would have been if he had beat Daniel Craig to the role. While even better is Hamer as the angry, serious KBG operative Illya. The two have fun in their sparring and fight scenes together as they try to outdo each other. Vikander is also enjoyable as Gaby and has great chemistry with Hamer. Ok so it’s still isn’t as good as summer’s other 60’s spy show turned movie franchise Mission Impossible: Rogue Nation and I’m sure James Bond won’t have anything to worry about when Spectre is released later this year. The film also starts to drag a bit towards the end. However it is definitely better than I thought it was going to be so I would definitely recommend giving it a try.